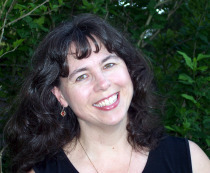 Stephanie Buckwalter is a wife, mother, homemaker, homeschooler, author, teacher, and speaker. Even though that sounds like a lot, she spreads those things out so they don’t stomp all over each other in her life. She likes to read, write, and spend time with her family. Stephanie has had several books published for the school library market. One of her stories, called “Chocolate Milk and Bologna,” has been published in Chicken Soup for the Chocolate Lover’s Soul. It is a humorous story about growing up in a big famly in a small town. She has also written articles for newsletters, training manuals, computer systems documentation, encyclopedia entries, and more. About half of the world’s population is right-brain (RB) dominant. They look at and experience the world differently than the left-brain (LB) dominant half. The implications for housekeeping are enormous because most RB people tend toward messiness, frustrating their housemates and others. This seminar teaches you to identify the problem areas for RB housekeepers and how to solve them. Do you have a friend whose house is a mess and you want to help them but don’t know how? Or even how to approach them about it? There is a way. It takes sensitivity, organization, and a willing heart. This seminar gives specifics on how to approach the person, how to prepare for cleaning day, and a game plan for getting the job done. It also covers one very important aspect of the process: managing expectations, both the helpers and the one being helped. This talk addresses the inner life of the person whose house has become a disaster area. Many times, the house is simply a reflection of what is going on inside the person. Cleaning the house is great, but cleaning the heart is where that process really starts. Many children, especially those with learning struggles, naturally switch to right-brain processes to learn and master new material. Learn how you can help them by learning how they learn and how to teach in that manner. Learning how to teach kids who rely on right-brain learning techniques is crucial to helping those who are behind or have some kind of learning ability. The child who has trouble processing information has very real struggles with getting along in life. The processing problem can be in any of three areas: distorted or incomplete incoming information, scrambled signals inside the brain, or an inability of the body to produce a desired outcome or action. It takes a lot of patience and a lot of baby steps to train a child like this, but it can be done. Learn how to recognize the problem area and then break down tasks to small steps or alter the environment to accommodate the problem. These methods apply in all areas: academics, life skills, chores, sports, social interactions, and more. Change. One of my favorite things to talk about is how to really change. The Christian life is one of constant change. Nothing is static. We are to be maturing throughout our lives. Maturity means change, but we often get stuck along the path of maturity. This seminar will help you recognize the stages of change and if you are stuck in one. It will not leave you there, but give you the tools to get moving again. Christian Depression. Christian depression among homemakers is a huge problem. This seminar helps you recognize the symptoms and find the root of the problem. There is hope for that empty feeling inside. For CCW Members wishing to start a blog, Stephanie will hold a free webinar on how to create one using Weebly, tentatively scheduled for Tuesday, January 17th at 7 PM. Weebly is free and is very easy to use. If you have mastered using your cell phone, you can build a website with Weebly. It is all drag and drop. You can design it in under an hour and after that, just add your blog posts. She will also provide information on driving traffic to your site and information on legal disclaimers required if you review other people’s books or products. This will be held in an online classroom with chat capability so participants can ask questions as we go.